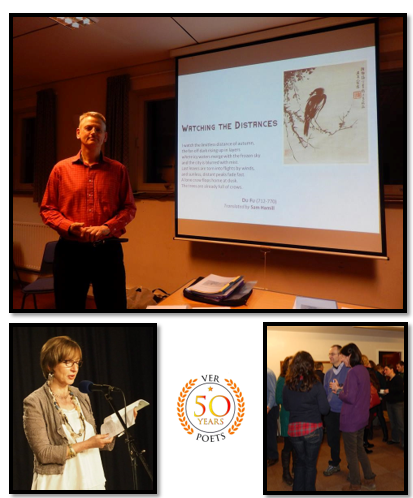 Ver Poets | Ver Poets poetry society based in St Albans. Welcome to Ver Poets. We are a group of writers and poetry lovers who meet regularly in St Albans. We have a national and international membership. Explore our website to find out about our programme of poetry events, poetry competitions and the benefits of joining us. At: St Albans Central Library, The Maltings, St Albans, AL1 3JQ. Ver Poets Open Competition 2019 – Click here to download the entry form with full details. Please see our Competitions page for further information. Please see our Membership page for details of how to join. Please see our events page for details of all upcoming events. We offer performances of classic and modern poems, workshops to help you hone your skills, while also having the opportunity to meet fellow enthusiasts and learn about the fascinating world of modern poetry. Members receive three newsletters a year, have the chance to enter members-only competitions and get reduced price entry to our monthly events. We also offer a free critique of work to new members. If you’d like to meet us or find out more, please contact us.